Christmas isn’t just about one day, it’s a month-long festive marathon of parties and entertaining. 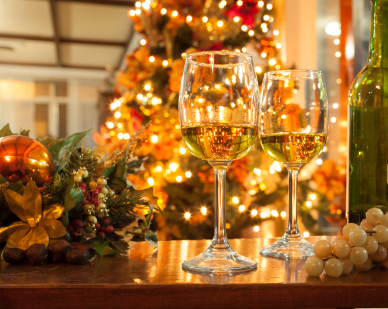 Of course, everyone wants tips for the right wines for Christmas Day, but those aren’t necessarily the same wines that will work for pre- Christmas parties, Boxing Day lunches, and those rare, but welcome ‘in between’ moment, when there is a second to relax, with a simple supper and a glass of something good. • For drinks parties, keep it fresh, keep it lively – avoid big oaky whites, go for bright, vibrant, easy-drinking wines. • Boxing Day lunch is a wake-up call for jaded palates, and a day where many of us crave fresh salads, and light food as an antidote to the great, rich feast of the previous day, so crispness, zestiness and taste bud tingling flavours are the key here. • As for those cosy evenings by the fire, that’s when the richer, warmer wines come into play – either ripe, full-flavoured Chardonnays, and Viogniers, or spicy, rich Rieslings and Gewurztraminers, which work so brilliantly with any spiced up casseroles and curries. You can’t go far wrong with The Ned, for Christmas parties, and for Boxing Day feasts. The Ned has quietly grown to iconic status, through the endeavours and enthusiastic customers of Majestic wines. Now one of their top sellers, it’s reached this lofty position, virtually by word of mouth. A multi-award winner, it consistently delivers on pure style and flavour, for lovers of Kiwi Sauvignon; not too grassy, not too tropical. It also has far more individuality than many of the top New Zealand brands, as well as being the brainchild of a New Zealand winemaker who wanted to follow his dream. The vineyards sit high over Marlborough, and the wine benefits from the high altitude, and unique conditions. Tangy, refreshing, and with an intense citrus burst, it ticks all the classic Marlborough Sauvignon boxes, but yet, has an added edge, a more defined, pure style, a fresher, yet intense combination of ripe passion fruit and fresh lime zest, with a lively, gooseberry crispness, and a satisfyingly refreshing finish. A great all-rounder and superb value. This has to be high up on the list as a great value wine for both parties and those weekday evenings, when you need to relax with a glass of something refreshing. If you haven’t heard of, or tried Fiano yet, this is a good reason to do so; it’s a grape variety produced in southern Italy, in Puglia, the stiletto heel of the country. Forget non-descript party whites, this one has real style and character; it’s not a wimpy, thin wine, it’s a bold, sassy one, with a bite – think warm peach, freshly cut pear, and a squeeze of lemon juice, mingled with an enveloping creamy warmth and ripeness. It’s a deliciously lively, zesty white, yet with enough ripeness and body to soothe us on cold winter nights. Characterful enough to cope with all manner of spicy canapés, but also a treat with simple seafood linguine, fish pie, and chilli and ginger pan fried fish. The flint coloured bottle and sea blue label are a good indication of what this award winning dry white is all about. Winner of the IWSC trophy for New Zealand wine producer of the year in 2012, Matua, the first winery to plant Sauvignon Blanc grapes in the country, has just released its 2013 vintage. With very young, vibrant, but characterful, passion fruit and peach aromas, this youthful wine sings with verve and freshness, yet with none of the awkwardness of many young wines. It’s full of freshly squeezed lime and passion fruit flavour, racy, edgy, and exuberant. I’d love to try it with Thai chicken curry, spicy seafood, and a whole host of vegetarian dishes. It’s one of the most versatile, equally at home with spicy party nibbles, a bowl of steaming hot Thai chicken curry, or a refreshing glass as an aperitif on Christmas or Boxing Day. This is an absolute delight, and firmly on my list of wines for this Christmas; - it’s a glorious, lime-streaked dry German white, from the majestic Riesling grape. This one is from the world famous Dr Loosen Estate in the Mosel; it’s bursting with fresh, crisp, white peach, green apple, and citrusy flavours, with an enchanting scent of blossom and fresh lime., together with a zesty lemon fresh, almost steely finish. It’s drier than many German wines, and is a delightfully low 10.5% alcohol. If you haven’t been seduced by the charm of Riesling yet, this is a good place to start. It is also simply the very best style of wine to go with Thai curries, all manner of Chinese and Indian dishes, and a great match for smoked fish. At Christmas time, it’s a great all-rounder – not only does it work with all those spicy, fiddly canapés, it ticks the boxes for a great starting point on Christmas Day, maybe with smoked salmon, and it’s lighter alcohol levels will be a refreshing alternative to more heavy whites. An outstanding wine from the most eastern region of Galicia, in northern Spain, Valdeorras. Galicia is known for the very popular Albarinho, but this is from the new star on the block, the Godello grape variety. A worthy winner of a silver medal in this year’s International Wine & Spirit Competition, this wine tantalizes the taste buds with its audaciousness and individuality. On the nose, there’s a fresh, very distinctive aroma of fresh grapefruit, and ripe pear; taste it, and it has a tingling vibrancy, and a gloriously refreshing style, which perks up the taste buds, bursting with freshly cut herbs, and candied lemon peel flavours, which lead into a gloriously dry, crisp, lingering finish. I know it’s from an inland area, but it reminds me of the sea, in terms of its freshness! It would be perfect with a classic platter of the freshest seafood, but also an ideal match for smoked fish, pan-fried cod, Thai chicken salad, and spiced up vegetable salads… pretty much my top choice for a refreshing Boxing Day white. This is a new addition to the Tesco Finest range, and it’s great to see them introducing some of the lesser known Italian white wines. This is a limpid, textured dry white, with lovely flavours, produced in the rugged hills of the Abruzzo region on the Adriatic coast of Italy, from the Pecorino grape (which is thought to be named after the sheep that graze the hills and eat the grapes!). It has charm and character, with bold, enticing, very fresh aromas of peaches, acacia honey, whilst the flavours are delightful – ripe, fruity, yet very savoury, mingling ripe pear, a touch of white peach and a brush of lemon thyme – very fresh, and I love the vibrant finish with it herbal tang – I’d enjoy this on its own but it’s a superb food wine, particularly, goats cheese salad, garlic and chilli spiked prawns, herb crusted chicken, and creamy seafood linguine. This would be my pick for a Christmas Eve supper of baked salmon with herbs and lemon. Top marks to Tesco for pushing the boat into unchartered territories and making a stand for quality wine from Slovenia. Produced up in the hills bordering Austria and Croatia by a family owned company who only set up 5 years ago, it’s a zesty, fruity delight, with mouth-popping freshness. The blend of internationally renowned Sauvignon, with the fresh, quirky, but undiscovered Furmint is very clever. This is really putting Slovenia back on the wine map, and I urge you to try it – zippy, zesty and lively as a spring lamb, it has a delightful green apple, and greengage freshness to it; it bounces around the palate with bursts of ripe gooseberries, a squeeze of fresh lime juice, a hint of fresh marjoram and a whack of freshly cut granny smith apple! Racy, vibrant, with a refreshing acidity, it will be a delight with crispy salads, pan-fried fish, seafood pasta, goats cheese and beetroot, and will also cope beautifully with Thai- inspired dishes. Boxing Day is often a mash up of Thai- inspired salads, and spiced up turkey and this wine would be a great treat if you’re planning a party that day. It’s an absolute to joy to discover this new wine on the Morrisons shelves, and it’s stunningly good. It also happened to win a top award at the International Wine Challenge tasting a couple of days ago, and given what’s in the glass, I can’t quite believe the price; it’s glorious, and richly deserving of attention and enjoyment. 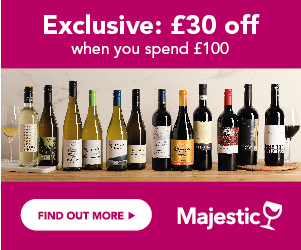 Hats off to the Morrisons team for introducing this wine to their range, and I hope that readers who may swoop past this wine in store without looking, give it a bit of attention, as it’s well worth it. Look no further for the perfect wine for that spicy curry, or those Thai- infused dishes that you may be cooking over the next few weeks. It has heady aromas of lychees, honeysuckle, Turkish delight and rose petals – but fear not, as it’s about the best match you can get with spicily hot oriental food, and also lighter, fruity desserts; I implore you to give it a try – with chilli- infused food, you need a wine that can match the intensity of the spices and this one can, with its rich, succulence, and off dry, yet vibrantly fresh flavours. A glorious medley of exotic fruit and refreshing lime. Chenin Blanc is an incredibly versatile white wine; mix it with intensely fruity VIognier and sassily zesty Sauvignon, and it’s a star blend. From top wine producer Charles Back in South Africa, this gloriously fruity dry white is just a medley of gorgeous, luscious aromas and flavours, with a terrific blend of top grape varieties! It's vibrant, aromatic and ripe, and simply bursting with apricot, golden apples and nectarine character, with a lively lime zesty freshness - mouthwatering and utterly delicious – its great with goose and all the fruity stuffings, but would be superb with an alternative roast pork loin, and the wine of choice for anything vaguely north African or middle eastern such as tagines, fruity couscous, and glorious Lebanese dishes. Christmas wouldn’t be Christmas without a classic Burgundy, and here’s one that won’t break the bank; from one of the most established and top producers in Burgundy, here is a deliciously creamy, rich, dry white, from the Macon region in southern Burgundy; produced from the chardonnay grape, it’s fresh, it’s lively, it’s not full of oak, so will appeal to both Burgundy lovers, and those who grew to mistrust Chardonnay due to its oakiness. Gentle and elegant in style, it has a soft creaminess, and a fragrant, baked apple and orchard fruit character, mingled with hints of hazelnuts and warm cream, which make it very appealing and a great food wine. A great choice for a Christmas Eve supper of a luxurious fish pie, or pan-fried salmon, and if you want just one white wine to see you through Christmas, it’s pretty good with turkey and goose also. *This article is showing the prices and stock available on 06/12/2013.